We woke up to an extremely calm and reflective Lake Te Anau. 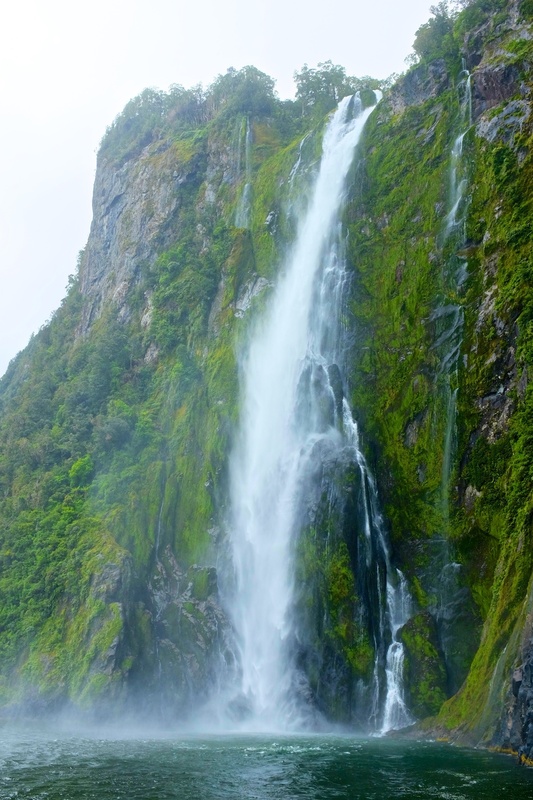 The incredible beauty was worth our early departure from the Henry Creek DOC site, as we headed towards Milford Sound for our cruise. There is only one road that can take you to Milford Sound, and it was about 100 km from our campsite to our destination. As you approach Milford Sound, the road becomes very twisty and goes through the one lane Homer tunnel, where the traffic can get backed up for over 20 minutes at times as it lets one way in at a time. It was a very cool tunnel that takes you through a mountain, but it's so dark and hilly it reminded us of one of those roller coasters through a mine shaft. The road is also amazingly beautiful, but since we were in a rush, we only took a couple of pictures and decided to make our photo and hiking stops after our cruise. The drive took us about an hour and half, and we had some time to spare when we arrived in the parking lot. 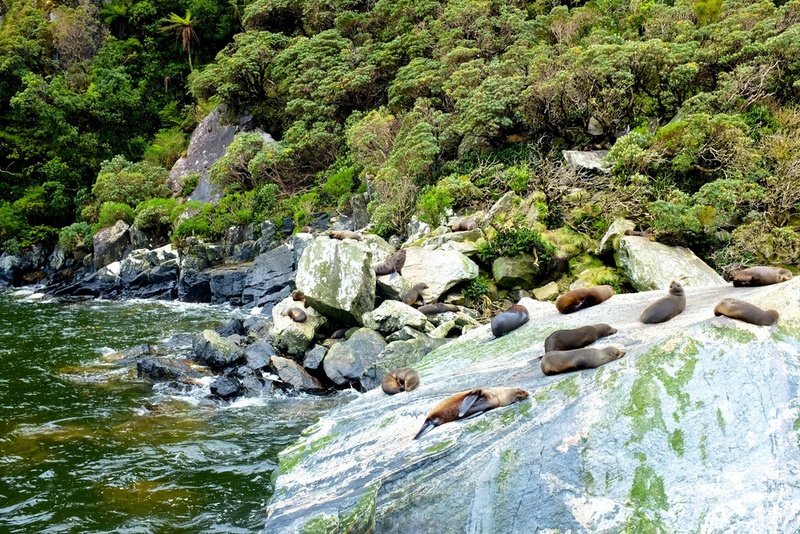 All the various cruises of Milford Sound leave from the same dock and generally provide the same length tour. Some take smaller groups out and some take larger groups. We found a good online deal for the Jucy cruise, which was a pretty big boat with quite a few people, but honestly I don't think our experience would have been drastically different if we had paid more to be on a less populated boat. 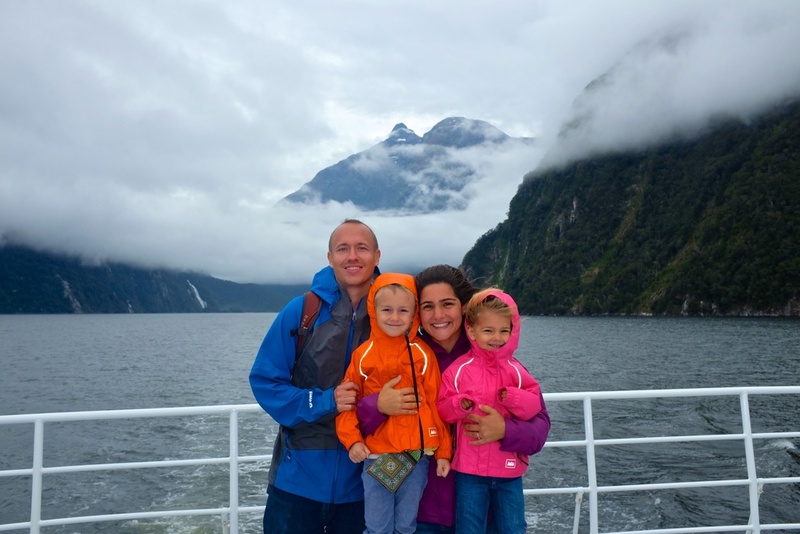 If you're wondering what Milford Sound is, here is a quick overview. It is actually a fjord, not a "sound", the difference being it was created by a glacier instead of being a natural inlet from the ocean. 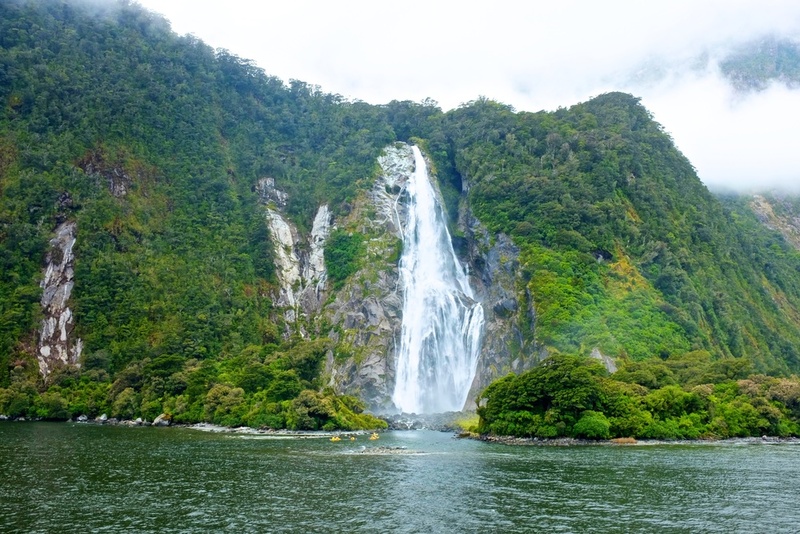 There are a number of sounds one can visit while in the Fiordland of New Zealand, however Milford Sound is the most popular, in fact it listed as the most popular tourist destination in the country. It has also been called the top travel destination in the world, and the 8th wonder of the world. If your interest is peaked, you can read more here. On the boat, we enjoyed seeing lots and lots of waterfalls, though apparently on rainy days the mountains come alive with thousands of small waterfalls that are fed by the rain. The best part of the cruise was when the boat backed up into a waterfall, and whoever was on the back deck, myself included, got a nice mist shower :) It was too bad that it was a bit chilly and the wind didn't help. Neither of the kids wanted to stay outside for long, so we split our time between the inside cabin and the decks. While inside the boat, we were able to enjoy our packed lunches and complementary tea and coffee. Rather than describing the tour in any more detail, I'll let you just take it in from the photos. It was definitely very beautiful, but we actually felt that Halong Bay in Vietnam was more impressive and unique, though at this point we're comparing two amazingly beautiful locations so there is no loser! After the cruise, we took our time traveling back on the same 100km road we drove up on in the morning. 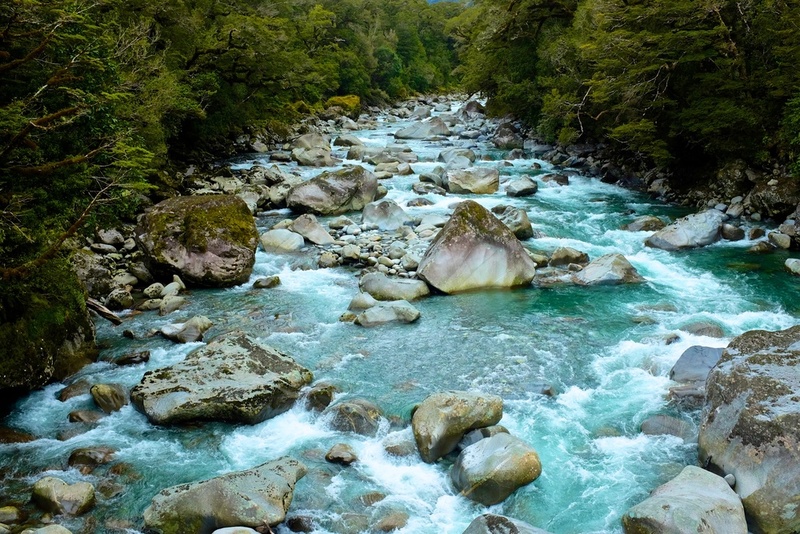 We stopped before a bridge by Mount Tutoko, where I was able to take a few more shots of the gorgeous blue glacier fed water, this time of the Tukoto River. 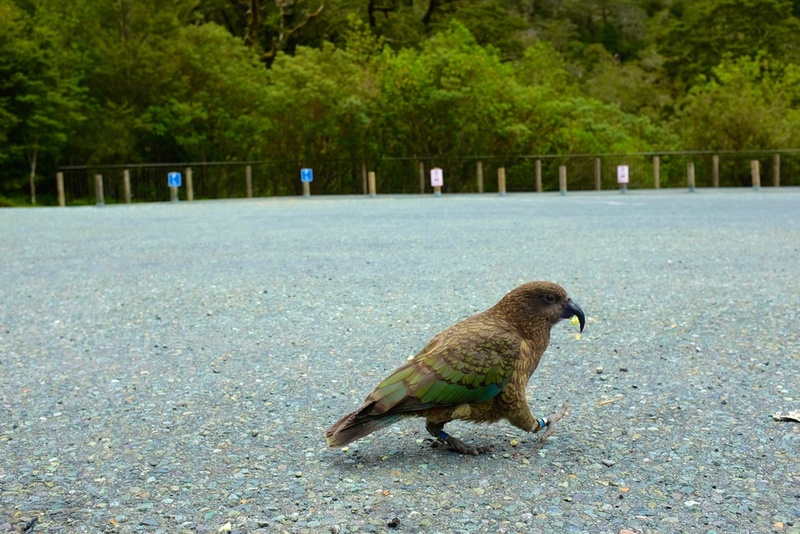 We also pulled over a few times for short hikes, generally less than 20 - 30 minutes round trip to the car park. As we continued our journey, the kids fell asleep. We wanted to see a few more spots, but we ended up crossing most of them off our list. The one spot that we were able to still squeeze in were the mirror lakes. I stayed in the motorhome with the kids while my hubby went on the 5 minute hike and brought back pictures! Honestly, when I read about the mirror lakes, I imagined them much much bigger. We only made one more stop along the way so I could take a picture of my favorite field of flowers. As we drove towards our next camp site for the night, I couldn't believe how quickly the landscape kept on changing, but was always beautiful! We arrived at Mossburn Country Park in the early evening hours. What a lovely camp site. Not free, but not overly costly for a powered site with a great kitchen and laundry facilities. This spot reminded us a lot our time living on a farm in Ireland. It was so great to be on a farm again with a lot of animals, and the kids were eager to feed the chickens and...the alpacas! 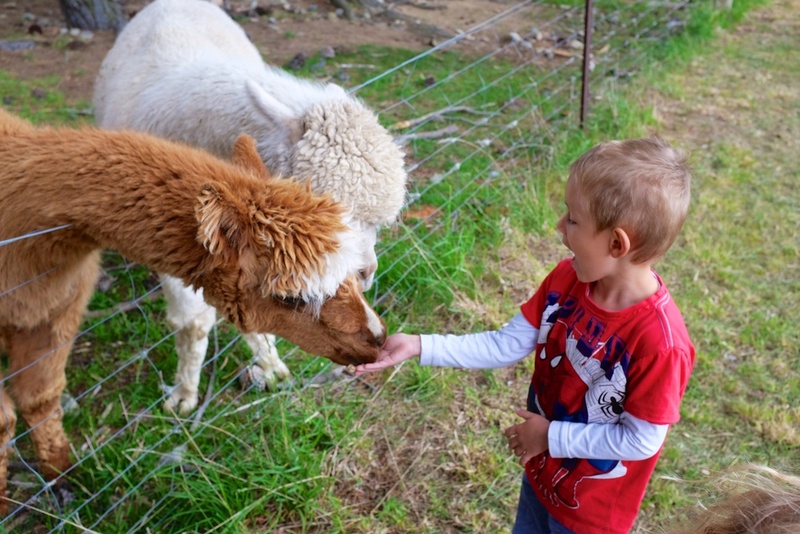 We were given pellets to feed to the fun and very sociable alpacas, and the kids loved this. They even named their favorites as Brownie and Whitey! Brownie was Kian's Alpaca and Whitey was Hannah's. 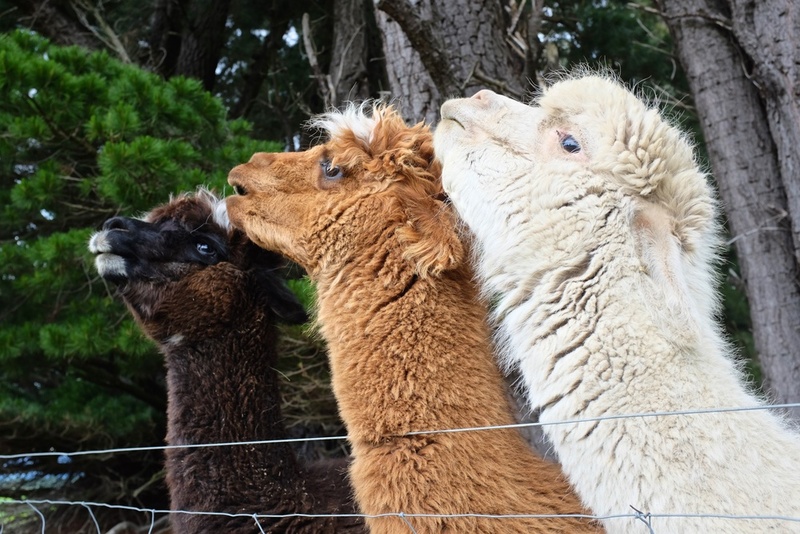 Alpacas in NZ? Yep, apparently there are about 50,000 of them and they are not consumed, rather they are reared for their wool which is of a higher quality than of the sheep. However, the owner of the farm that I spoke with was not very excited about keeping these alpacas as the mill does not accept less than 500 kg of wool and the wool must be in the same shade of color (ie. white, off white, light brown). He also told me that the gestation period for alpacas is approximately 1 full year which means he cannot grow his herd quickly. 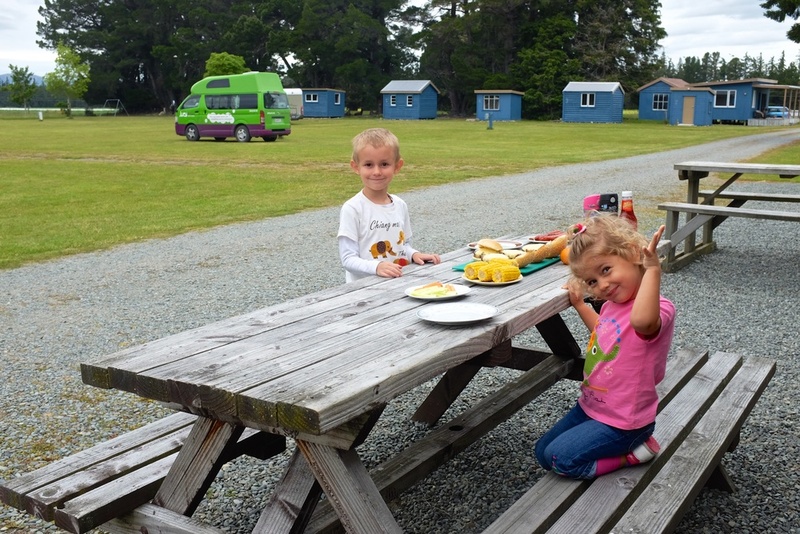 Kian and Hannah and a few other kids who camped at Mossburn Country Park that night all had a blast feeding these cute animals. Aren't they cute? We also had a delicious dinner that I was able to make in the kitchen and we were able to eat outside, thanks to the good weather and the rain that held off. We had a wonderful evening and everyone went to bed early. 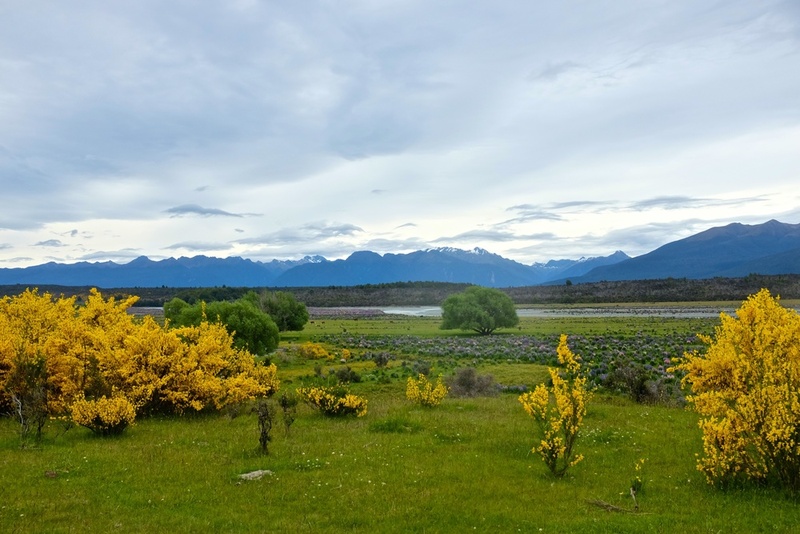 Tomorrow, we head to Queenstown to see if it is indeed as awesome as we have heard. Wondering what Elmer did today? Well, he was really happy with the card that Kian made for him and the Christmas tree that Hannah colored. 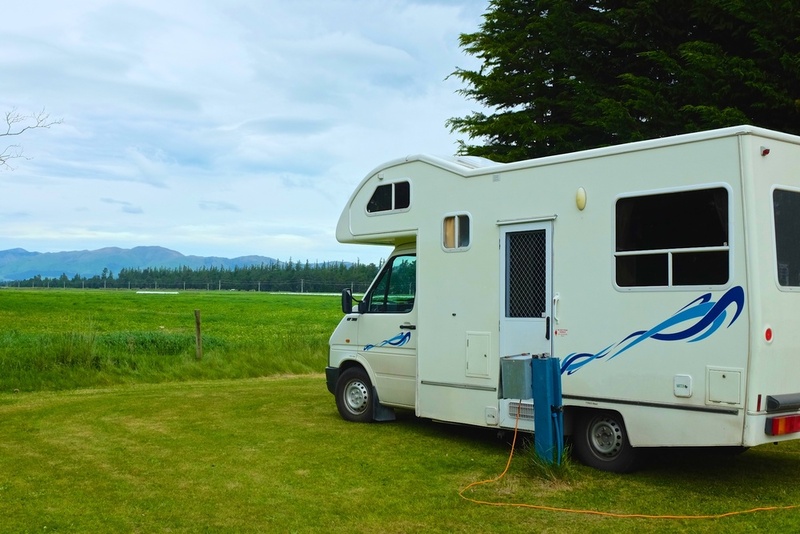 We woke up to marshmallow twists hanging from the ceiling of our motorhome, with a few adorning the walls and cabinet doors. We found Elmer perched up in a corner eating one of those delicious twists. Thanks Elmer! Kian and Hannah definitely enjoyed their delicious North Pole treats.